Recording and analyzing patient and family reports about rude and disrespectful behavior can identify surgeons with higher rates of surgical site infections and other avoidable adverse outcomes, according to a study led by Vanderbilt University Medical Center (VUMC) investigators in collaboration with six other major academic health systems. The study, published online Feb. 15 in the journal JAMA Surgery, examined de-identified data from the National Surgical Quality Improvement Program (NSQIP) for 32,125 patients treated at one of seven health systems. The outcome data were correlated with patient and family reports of disrespectful and rude surgeon behavior as documented by the hospitals’ Offices of Patient Relations for a period of two years prior to the targeted surgical procedures. Unsolicited patient complaints have been used since 2000 in a VUMC-developed program, the Patient Advocacy Reporting System (PARS), to identify and support peer interventions for clinicians who have high risk for medical malpractice claims. Currently, the PARS program is used by more than 140 hospitals in the United States, including those affiliated with the study collaborators. What this study reveals is that those same high-risk physicians not only make patients and families unhappy, their disrespectful behaviors also impact the ability of other surgical team members to do their work. Patients receiving care from surgeons attracting the highest numbers of patient complaints experienced nearly 14 percent more surgical and medical complications in the 30 days following procedures than patients seeing surgeons perceived as respectful. Complications could include surgical site infections, pneumonia, renal conditions, stroke, cardiovascular conditions, thromboembolic conditions, sepsis and urinary tract infections. The study adjusted for several patient, surgeon and operative factors known to be related to risk of adverse outcomes. 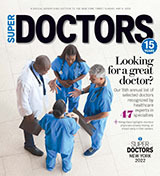 “Patients and their families are uniquely positioned to observe physician behavior and performance,” said Cooper, “And analysis of their stories provides insight into how physicians who interact with patients with disrespect and rudeness might also interact with other medical professionals and how those interactions could impact patient care. Team members who experience disrespect may be less likely to speak up, ask for help, or see changes in patients’ conditions. Study co-author Roger Dmochowski, M.D., executive director of Risk Prevention for the Vanderbilt Health System and a Urologic surgeon, suggested that surgeons who have trouble interacting with fellow team members or patients will continue with behaviors perceived to be disrespectful until a fellow professional or medical leader has the courage to bring their behavior to their attention. Through use of PARS, the Vanderbilt team, in collaboration with medical leaders across the United States, has demonstrated that if an organization listens to and documents patient stories in real-time, they can identify at-risk physicians and intervene to promote safety and reduce risk. Nationwide, 80 percent of the more than 1,600 physicians and surgeons who have received peer-delivered interventions through the PARS program respond favorably, reducing subsequent complaints of disrespectful behavior and lowering their malpractice claim experience. Study collaborators include physician-investigators and medical leaders from VUMC, as well as researchers from University of Pennsylvania, Stanford University, University of California-Los Angeles, University of North Carolina, Emory University and Wake Forest University.